Hi! My name is Claire Brown. I live in Winter Garden, Florida with two dogs, two cats and my husband Eric who is an omnivore but quite tolerant of all the vegetables I feed him. I'm a dance teacher (which I love) and the mother of two grown-upish kids (which I also love). I've worked in the restaurant and hospitality industry for most of my life so building yet another career around food and eating isn't much of a stretch for me but recently I took the plunge to focus on holistic health and nutrition. I began with a certification in Plant-Based Nutrition from the T. Colin Campbell Center for Nutrition Studies and also hold a Professional Plant-Based Cooking Certification through Rouxbe Cooking School. 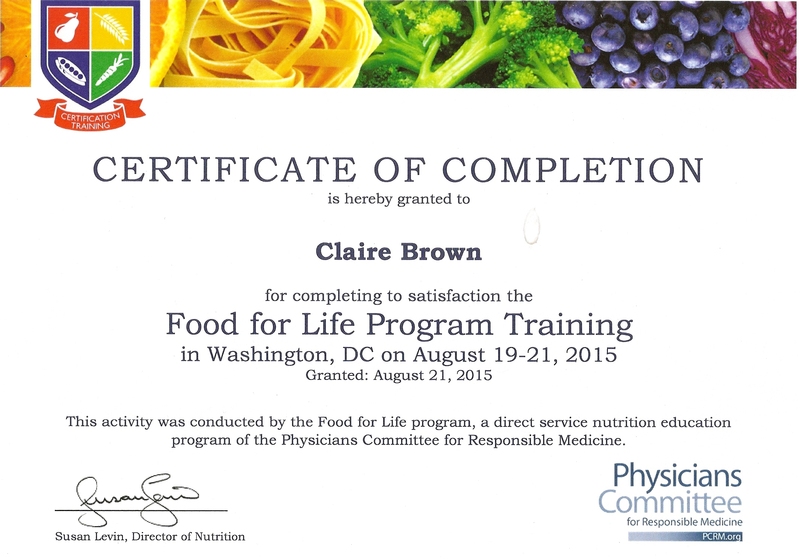 In addition, I am a certified Food For Life instructor and a Mayo Clinic trained Wellness Coach. This year I began working at my dream job, on the staff at West Orange Nephrology where our motto says it all, "Attaining wellness... Limiting the use of medications". I love empowering our patients in their wellness journeys and also witnessing the positive outcomes to their chronic kidney issues, hypertension, Type 2 diabetes and so many other conditions through the amazing health benefits of a whole-food, plant-based diet. Message me with your specific questions and to sign up for newsletters. I promise not to send too many!